To commemorate the anniversary of Yuri Gagarin’s flight, we created a thematic poster. 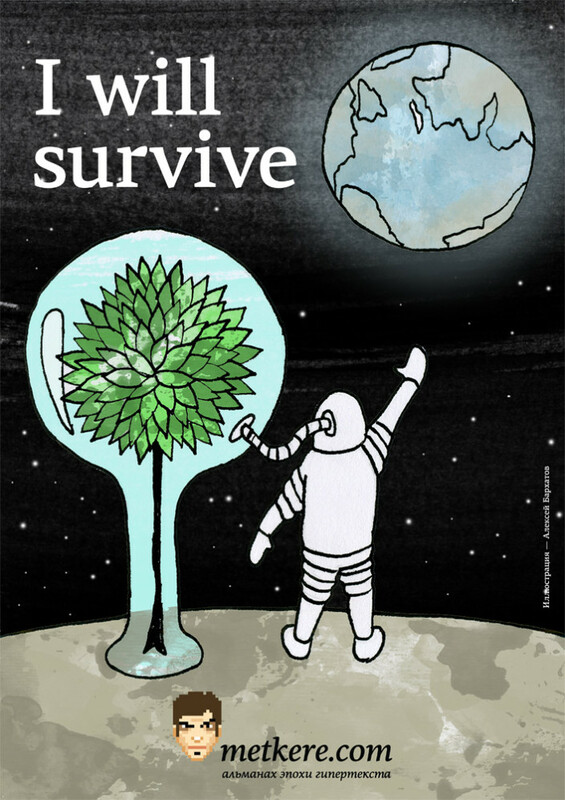 It called I will survive and demonstrates the fragility of humankind in the Universe. Alexei Barkhatov made this beautiful illustration and Alexander Alexeyenko designed the poster. The poster published under CC BY-NC-ND license, so feel free to download and distribute it. Download the poster in one of the following formats: A4 (19 mb) or A3 (36 mb). Send us photos of the poster in real life!